Are you in that pre-Christmas crazytown where you realize you will never get everything that needs to be done in the way you want it to be done before the shipping cut-off/ boarding last call / in-law visit / Christmas morning? Take a deep breath. It’s going to be OK. And if it’s not, there will be candy. 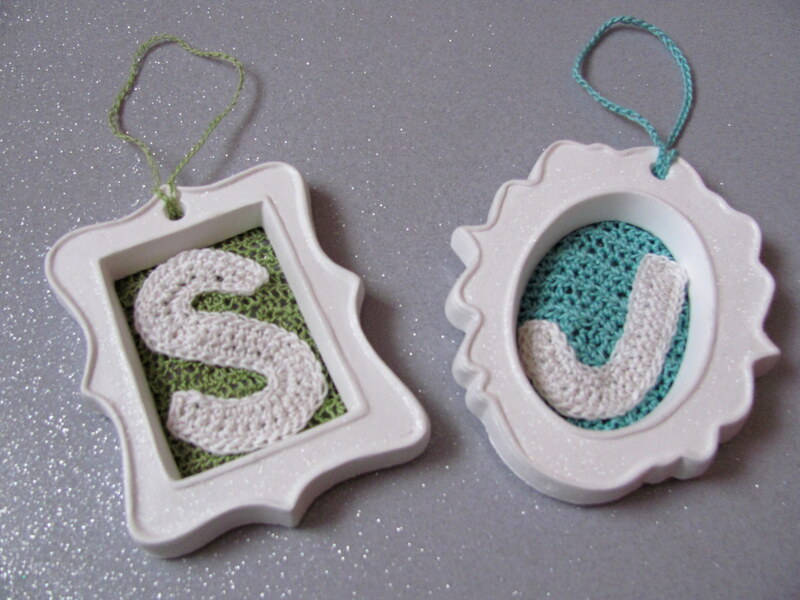 Maybe what you need is to cut out a little time to make a few cute ornaments for the folks you really love the most. 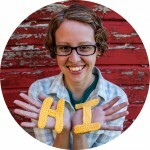 You know how crochet makes you feel so much better! Please read all the direction before starting (I sound like such a boring teacher) because there are a few caveats. 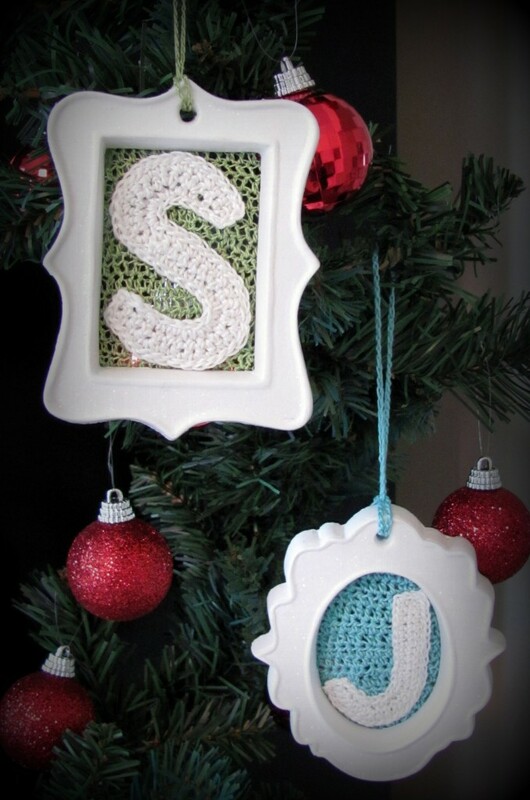 Step 1 – Adorn your frame: Remove the ribbon and tag from your ornament. If you would like your ornament to be painted, here’s your chance, but I was OK with keeping it white because I had some pretty white glitter. 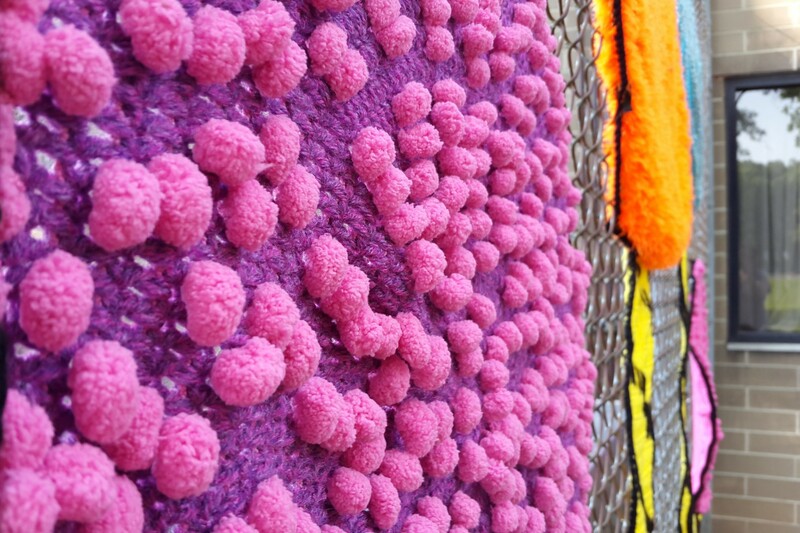 Let paint dry before applying a thin, even layer of craft glue and a ton of glitter. Step 2 – Make a background: While the frames dry, crochet a back for them. I used a B hook and rows of HDC (half-double crochet) to make a piece just about two stitches larger than the opening on each side. 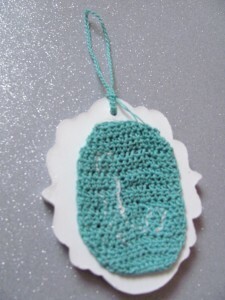 How many rows and stitches you need to do will depend on your ornament, thread, and tension, so just have fun with it. Remember that all your edges will be hidden on the back, so no one will see it except your snoop of a brother-in-law. For the oval, you’ll have to be a little more creative by using increases and decreases, so go with the rectangle opening if you’re not used to winging it. And if you’re not up for any of that, just cut a piece of fabric or burlap a bit larger than the opening. 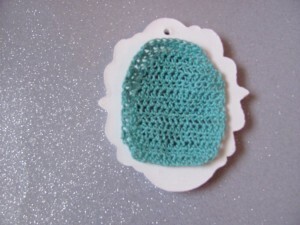 Step 3 – Crochet a little cuteness: You will need a character to be the center of your ornament. Might I suggest a letter, number, or punctuation mark from the Hi, Jenny Brown motif patterns available on Etsy or Ravelry? But don’t feel like you have to use those. You could use a tiny granny square, or a heart, or a star, or a squiggly chain. Whatever you choose, pin it to your background and then place the (hopefully dry) frame on top – is it going to fit? 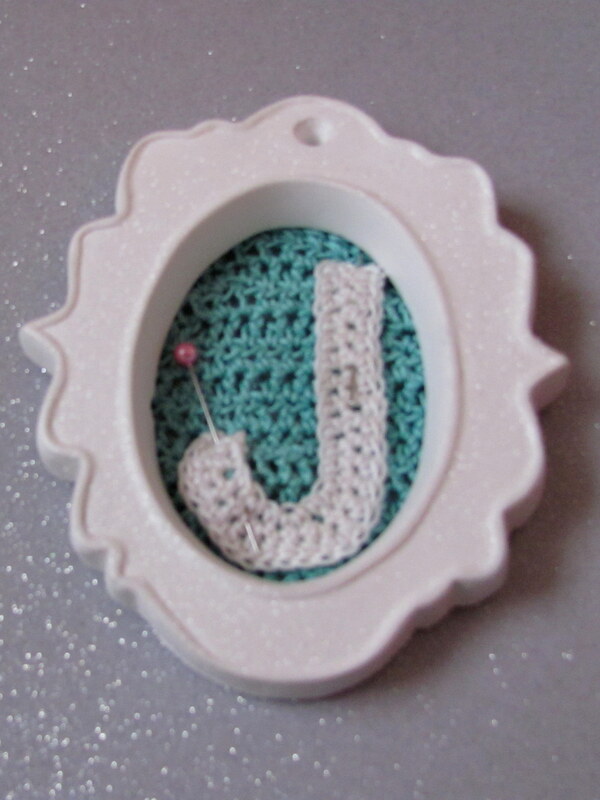 (If you are using the letter and number motifs, wide letters like “M” and “W” will probably not fit, and others will be a tight squeeze – so crochet tightly with the 7 hook.) If it doesn’t fit, you may have to re-crochet using a smaller hook or thinner yarn, or go with something different all together. But don’t throw the one that doesn’t fit away – we’ll have a project for that in a later post. Step 4 – Sew your character to the background: Use any stitch you like to firmly adhere your character to the background. 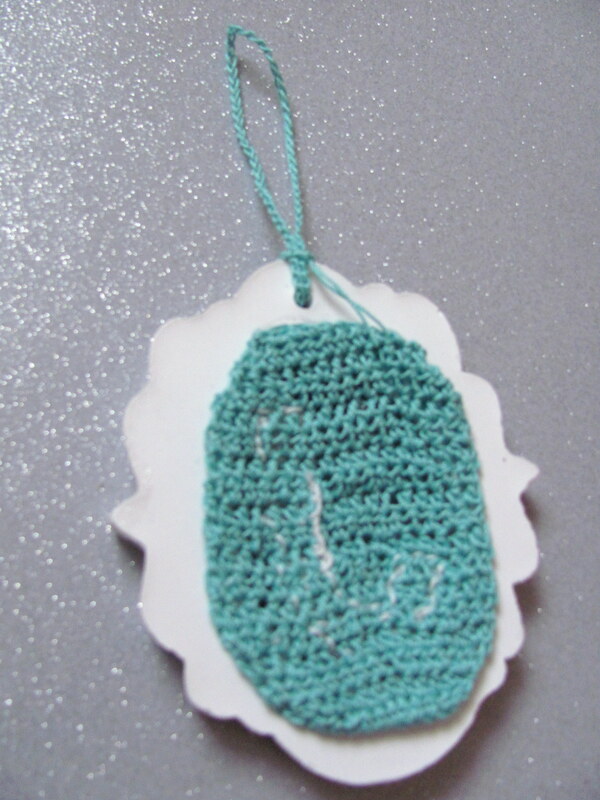 I use the chain stitch because it reminds me of crochet, but it takes longer than using a normal straight stitch. I would avoid using fabric glue on something so delicate, because it could gunk up and show. 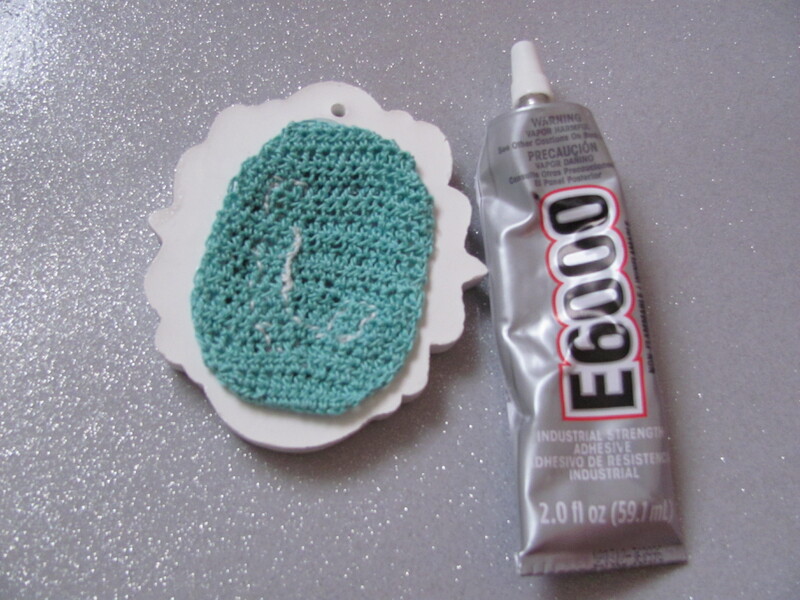 Step 5 – Get your glue on: I use E600, but I know there are some hot glue devotees out there, and I don’t want to keep you from your third-degree burns. Put a thin layer of glue around the opening on the back of your ornament. Lay your piece onto the glue backside up, and use a toothpick to press the edges into the glue. If you are using hot glue, you’re going to have to be precise and quick about this. 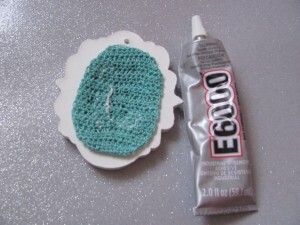 If you are using E6 (as Craft Husband and I like to call it), you will have a little bit more time to arrange it nicely, but remember that is not supposed to come in contact with your skin. The toothpick is your friend. Step 6 – Chain a hanger: While your glue is drying, crochet a chain – I did 75 stitches using a size 7 hook because I like how tight it looks, but you can use your 1 hook and fewer stitches. Tie the two ends together to form a loop. 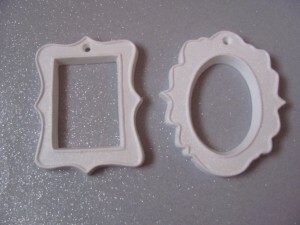 Once your glue is dry, use your smallest hook to pull the hanger, knot side first, from the back through to the front of ornament, leaving about half of the hanger at the back. 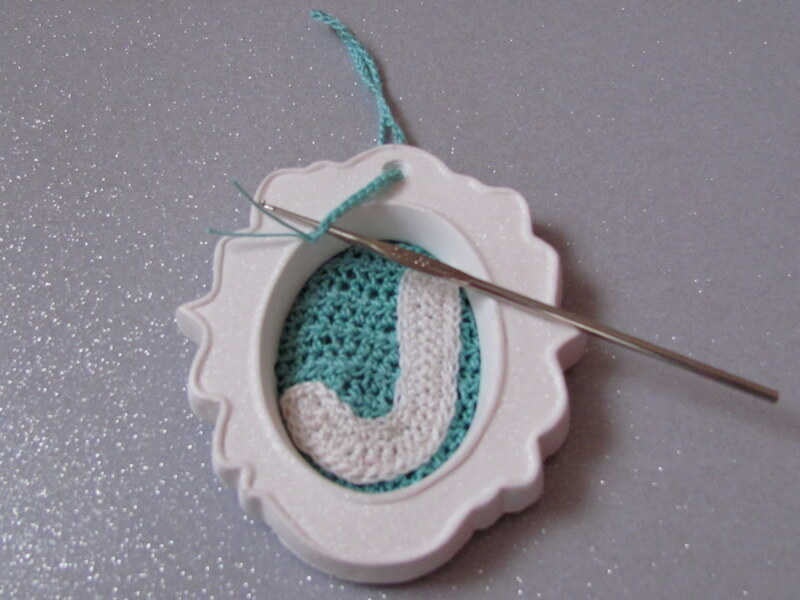 Grab the other end with your hook and pull it through the loop in the front to tighten. Gently adjust so your knot is in the back. You can weave that end in, secure it with a drop of glue, or just be cool with the fact that it’s at the back. Once everything is dry, you’re all done. Great job! You deserve a cookie.